Joseph Jagger (sometimes his surname is spelled like "Jaggers") is considered to be one of the most popular and widely known roulette players of the 19th century. He is also believed to be "The Man Who Broke the Bank at Monte Carlo" though this status is deservedly owned by another famous person in the world of Roulette - Charles Wells. What is Joseph Jagger famous for? Well, this person was the first one who had understood the opportunity to beat the roulette with the help of such-called biased wheels. Mr. Jagger was the English engineer and mechanic; he was born in 1830 in the English village of Shelf and in 1873 he began to think how it would be possible to use his knowledge of mechanical and engineering world for the game of roulette. He was pretty sure that a human could not invent anything completely perfect, so, every thing (including a roulette wheel) had some drawbacks. Joseph decided to check this fact and he hired six clerks to help him with that purpose: those brave people had the task to observe the work of roulette wheels in 6 different casinos of Monte Carlo and observe the winning numbers there. After that Mr. Jagger analyzed the results and made the following conclusions. According to the records made, 5 roulette wheel did not show any special results but the 6th one had something to offer Joseph Jagger: he noticed that the particular numbers appeared more often than others, so, it was possible to increase the chances for winning if to bet on those numbers (7, 8, 9, 17, 18, 19, 22, 28 and 29). So, Jagger started to play at that roulette table and his first bet on 7 had brought him a winning at once! He had won $300 000 for 4 days at that roulette table. The casino where Mr. Jagger played roulette was called to be The Beaux-Arts Casino at Monte Carlo, and certainly it was not very glad to observe how he took all its money. During one night, when it was closed, the employees moved all roulette wheels around to different tables; and the next day Joseph was not able to find his marked biased wheel to continue his gaming. 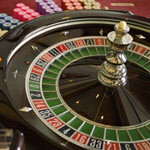 He had understood what happened and began to look for his marked wheel all over the casino. And he had found it of course! Mr. Jagger continued playing and won in about of $425 000. Anyway, the casino did not want to give up: it continued moving all roulette wheels around every night but Joseph continued to find his special biased wheel and bet on winning numbers. But anyway, he had lost some money and decided to give up. 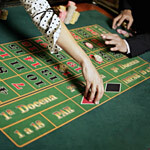 His $325 000 remained with him: he left Monte Carlo and never played roulette game again. Joseph Jagger invested all his won money in real estate; he became widely popular through Great Britain thanks to the song "The Man Who Broke the bank at Monte Carlo" which described his exploits.